Each year we celebrate the union of my Grandparents, and the creation of the Saarloos family by crafting a bottle for them. This is the 8th Iteration. The Marriage of both of our vineyards in one bottle. If you think of a married couple, they are different from each other. In essence two individuals that have made a choice for their two lives to become ONE LIFE. 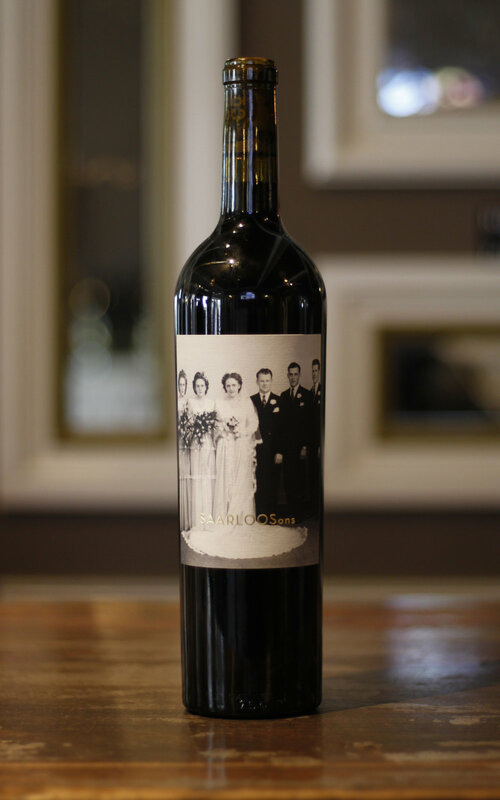 This Union melds their lives together just as we have two wines together their lives have been intertwined. In all cases, this union creates something entirely special, unique and one of a kind. The two vineyards produce drastically different fruit even though they are only two miles apart. When they are joined they create something that would never existed on its own. Just like in marriage, it all takes attention, patience, time, a few deep breaths and yes, a never ending amount of Work.